Sat., 21 Sep. - Thu., 26 Sep. Sat., 21 Sep. - Fri., 27 Sep. Sun., 22 Sep. - Mon., 23 Sep.
Wed., 25 Sep. - Fri., 27 Sep. Mon., 23 Sep. - Mon., 23 Sep. 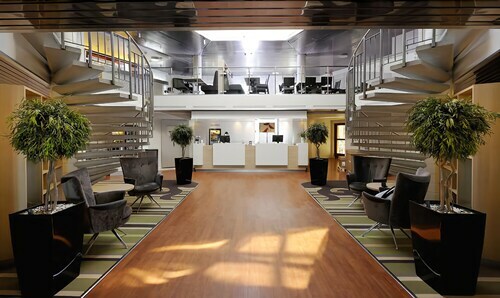 Situated in Arlanda, this hotel is 0.2 mi (0.4 km) from SkyCity and within 6 mi (10 km) of Eurostop Shopping Center and Marsta Centrum. Arlandastad Golf Club and Steninge Palace are also within 9 mi (15 km). 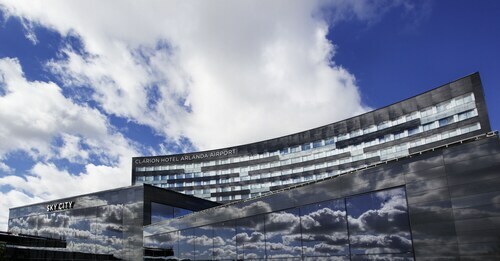 Arlanda Central Station is only a 2-minute walk and Arlanda Norra Station is 3 minutes. 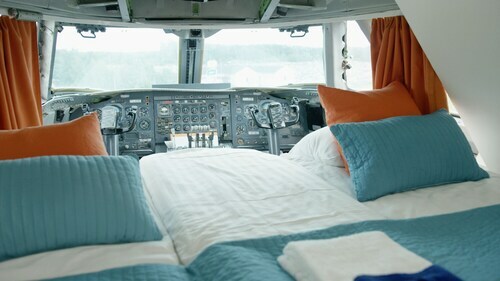 This family-friendly Arlanda hostel is located near the airport, 1.1 mi (1.8 km) from SkyCity, and within 6 mi (10 km) of Marsta Centrum and Eurostop Shopping Center. Arlandastad Golf Club and Steninge Palace are also within 9 mi (15 km). Arlanda Central Station is 23 minutes by foot and Arlanda Norra Station is 23 minutes. 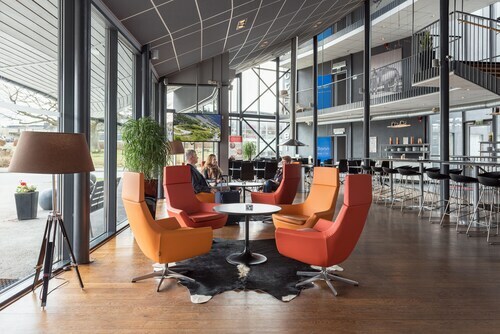 Situated in Arlanda, this eco-friendly hotel is 2.2 mi (3.5 km) from SkyCity and within 6 mi (10 km) of Marsta Centrum and Eurostop Shopping Center. International Golf Club and Arlandastad Golf Club are also within 9 mi (15 km). 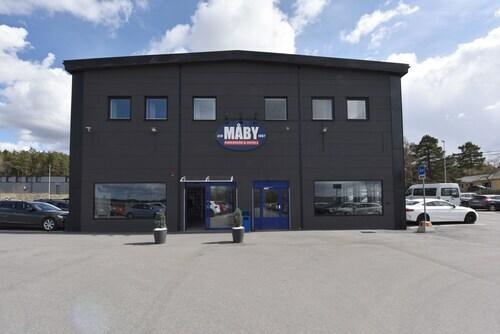 Situated in Marsta, this hotel is within 3 mi (5 km) of Marsta Centrum, Eurostop Shopping Center, and Arlandastad Golf Club. SkyCity is 2.8 mi (4.5 km) away. Märsta Station is 25 minutes by foot. Question : How long does it take to fly from Amsterdam to Stockholm? Answer : KLM currently holds the fastest travel time with one hour and 55 minutes. For example, you would arrive in Stockholm at 4:15 PM CEST if you left Amsterdam at 2:20 PM CEST. Question : How many flights are there per day from Amsterdam to Stockholm? Answer : Of course, the day of the week matters, but on average, 11 different flight times exist when you fly from AMS to ARN. The average route departing the Netherlands currently has four different flight times per day. You'll have more choices than the average passenger. Answer : Wednesday has the greatest variety of flight times for Amsterdam to Stockholm with 13. However, with only seven flight times, Saturday doesn't offer quite as many options when finding that perfect departure time. Answer : The cheapest day to fly from Amsterdam to Stockholm is on Sunday. If you want to save a bit of cash on your next getaway look for flights on Sunday. Answer : You sure can and you may save money by doing it. The lowest-cost day to fly in May is Sunday. Having flexibility in your travel plans means you can save more, so be sure to plan ahead when possible. Question : What is the cheapest date to fly to Stockholm? Answer : If you are wanting to save heaps, look at May 17th. As of Apr 22nd, it's showing the cheapest ticket sales at $143. That is 62% below the average price for this route, so you can spend that extra money on having an amazing time Stockholm. Question : How much is a plane ticket to Stockholm (ARN) from Amsterdam (AMS)? Answer : Cost can range anywhere from $138 to $1,835, prices for AMS to ARN do fluctuate much more than the majority of routes from the Netherlands. The further out you book, the more likely you are to save on your trip. For reasons that I suppose relate with the high volume of flights and passengers the luggage did not arrive on time. But KLM was so efficient it was delivered the very day after. NO COMPLAINTS! VERY SATISFIED INDEED!